Perfectly straddling the line between feature-packed power and compact portability, Barricade delivers rugged performance with a clean, classic look. 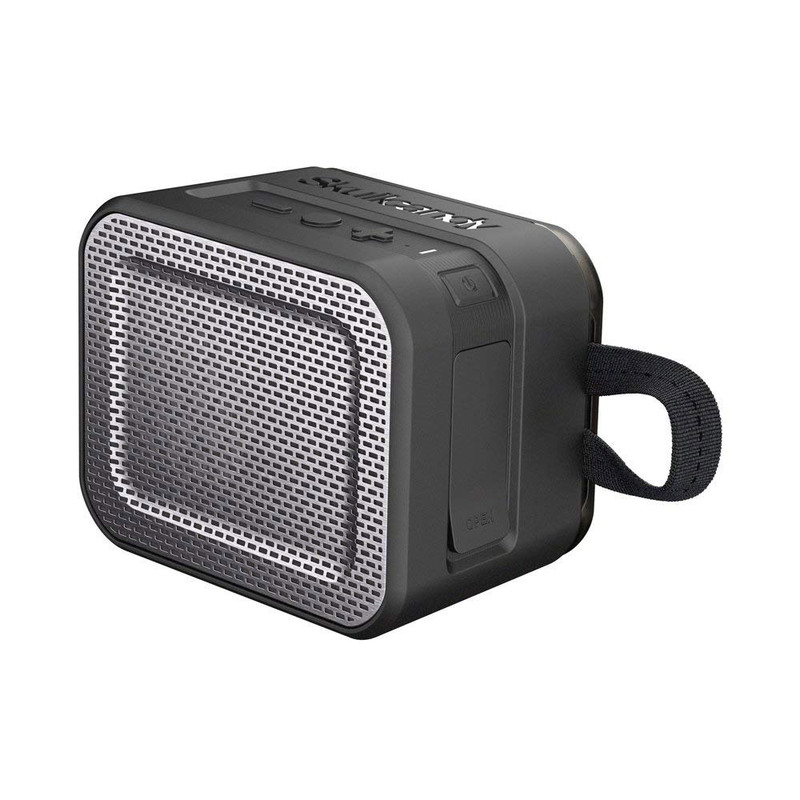 Waterproof and impact-resistant construction lets users enjoy music at home or in the wild. With up to 8 hours of battery life and the ability to charge external devices makes it an essential for the next adventure. WIRELESS LISTENING: Thirty-three feet of Bluetooth wireless connectivity range and an eight-hour battery let users enjoy music anywhere. WATERPROOF AND IMPACT RESISTANT: Take it three feet under water and watch it float to the top thanks to an IPX7 waterproof and buoyant design. Structurally designed to take a beating outdoors while still looking right at home in the house.